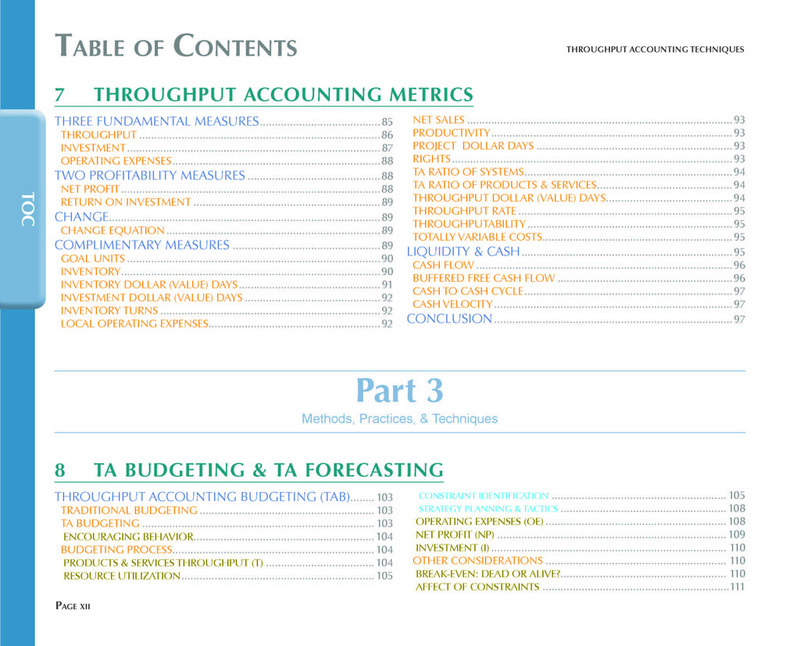 Throughput Accounting Techniques Table Of Contents lists the topics in the book. 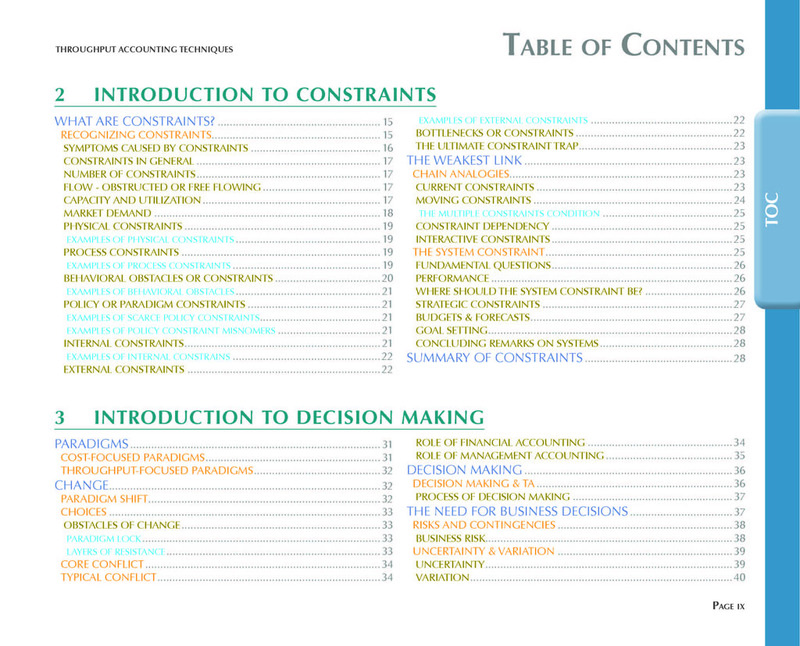 Each chapter also has its own colored tab, making it easy to find a topic. Content is color coded for easy recognition. 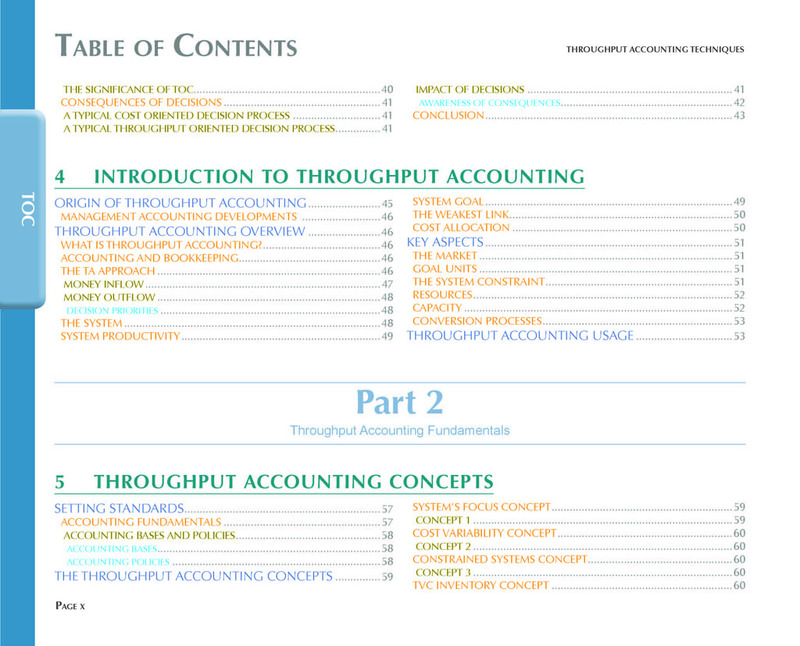 The contents of Throughput Accounting Techniques is devised into three parts, and covers a wide range of topics affecting finance departments and the management of systems. Management Accountants will be able to provide Throughput information to decision makers. 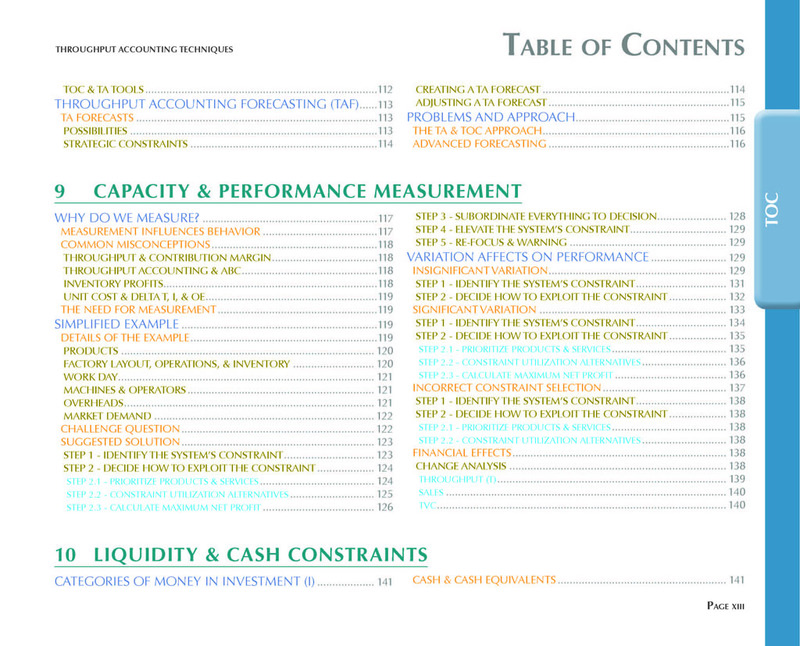 This information can be compared to traditional Cost Accounting information. The majority of decisions today, are based on the ‘Cost Paradigm’ way of thinking. Throughput Accounting is based on the ‘Throughput Paradigm’… if you don’t know the implications that these paradigms have on the impact of decisions… Read this book. The book can be read from start to finish, or, it can be used as a reference book. 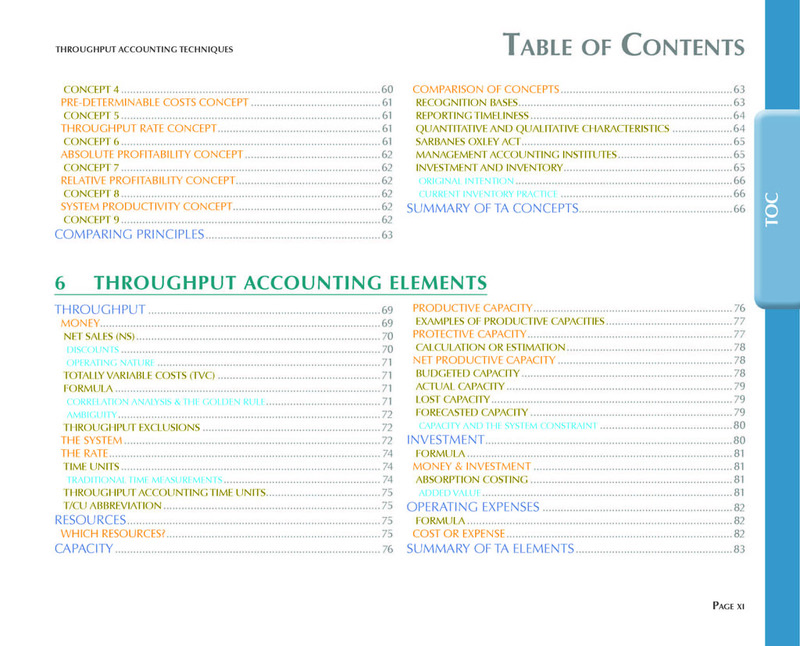 Extracts of Throughput Accounting Techniques Table Of Contents are shown below.